Picking a career is one of the most stressful things a student will go through. Many students may go through three different majors before they have chosen the right one. Having the opportunity to learn from experts in one’s desired field of interest or just being immersed in the responsibilities and average day of someone in their desired field of interest can be enough for a student to decide whether or not they are confident in their choice of career. 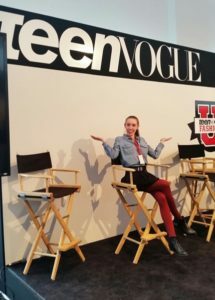 Teen Vogue Fashion University, which I recently attended, is an example of an early career experience. It is a program where young students who are interested in different aspects of the fashion industry can gain knowledge from some of the best in the fashion industry. Programs that expose students to early career experience can open the door to amazing opportunities. Photo by Norah Murphy, TVFU attendee. Jessica Minkoff, Teen Vogue’s Marketing and Accessories Editor, says that any chance to gain knowledge of a desired career is a great opportunity. She believes there should be more programs that are like TVFU for other career choices. 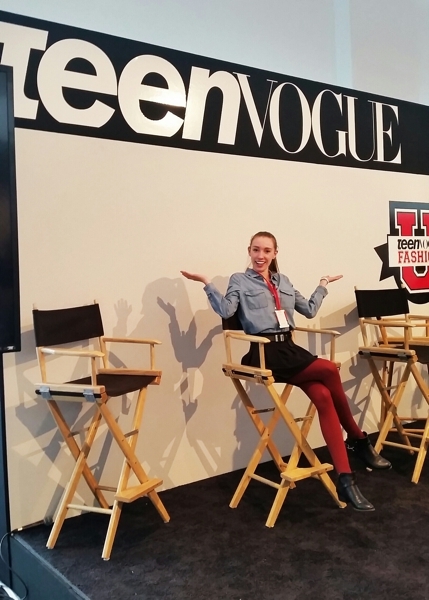 Teen Vogue Editor-in-Chief Amy Astley says that being accepted was a wonderful opportunity for all who attended. Out of the thousands of applicants worldwide only 500 were accepted. Finding a program similar to this for a desired field is a great opportunity because one can test out the waters of their desired career choice. For example, a University of Connecticut Stamford student, Carlos Flores, was awarded a paid internship at a local chemical research facility. There he learns about his desired career, chemical engineering, and gets to work with chemists in an environment that is helping him prepare for his career. “It is a great opportunity that exposes me to a lot of knowledge that I cannot gain from school alone.” Flores said. She also adds that internships make students more marketable to potential employers. An internship may show employers that a student may require less training in a particular field and have developed the transferable skills they are looking for in a new hire. Thomas also states that Housatonic has a number of degree programs which offer internship and fieldwork opportunities, and some which are in development. The Career Services Center also posts paid and unpaid internship opportunities for students on the job board outside LH-A108. The CSC will also soon begin posting opportunities for HCC students on College Central Network, an online internship and job board. For more information from the Career Services Center at HCC, click here to the Career Services tab on the Housatonic website and set up an appointment with Anisha Thomas.